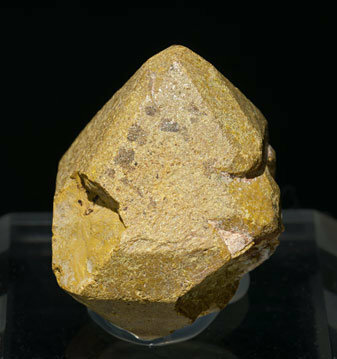 Floater crystal with a brownish-yellow color and very well defined faces and edges, with the forms of the octahedron and the rhombohedron. 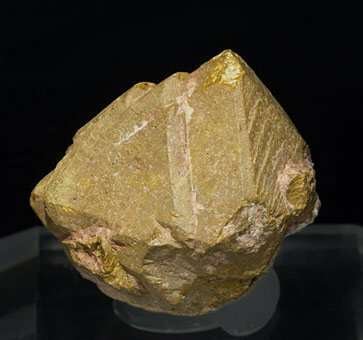 Currently what was called betafite has been discredited as a species and it is now considered as a variety of pyrochlore. As with most of the members of the pyrochlore group, it is in a revision process. 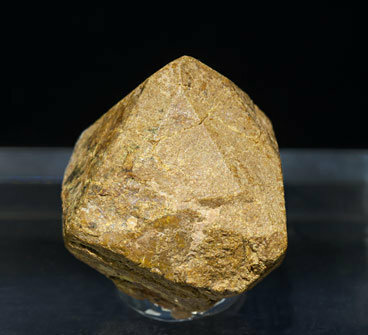 Floater crystal with a brownish-yellow color and very well defined faces and edges, with parallel growths and with the forms of the octahedron and the rhombohedron. Currently what was called betafite has been discredited as a species and it is now considered as a variety of pyrochlore. As with most of the members of the pyrochlore group, it is in a revision process. 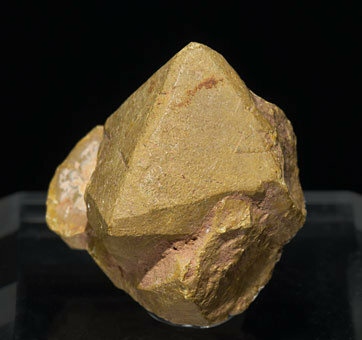 Group of crystals, one of them clearly dominant, with a brownish-yellow color and very well defined faces and edges, with the forms of the octahedron and the rhombohedron. Currently what was called betafite has been discredited as a species and it is now considered as a variety of pyrochlore. As with most of the members of the pyrochlore group, it is in a revision process.